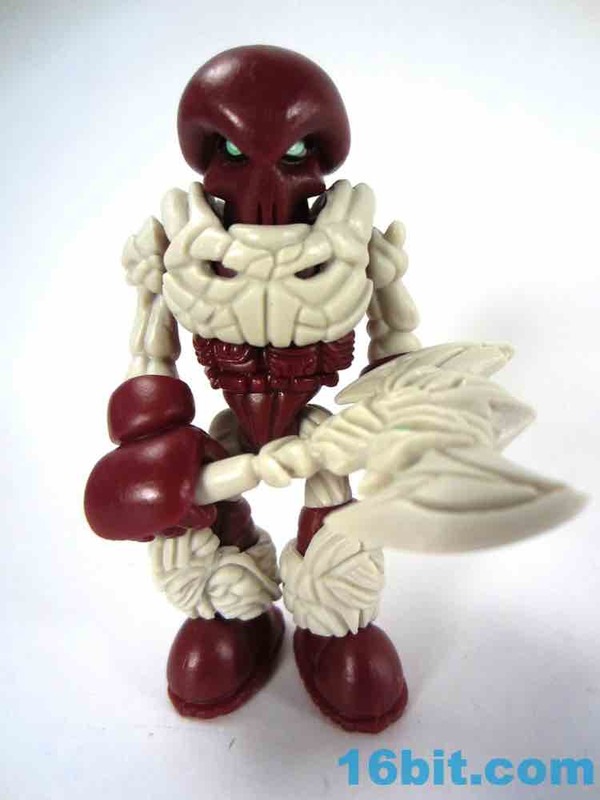 In a rare instance of a figure showing up in an Onell Design game months before the toy release, the Skeleden Standard figure was a delightful surprise. 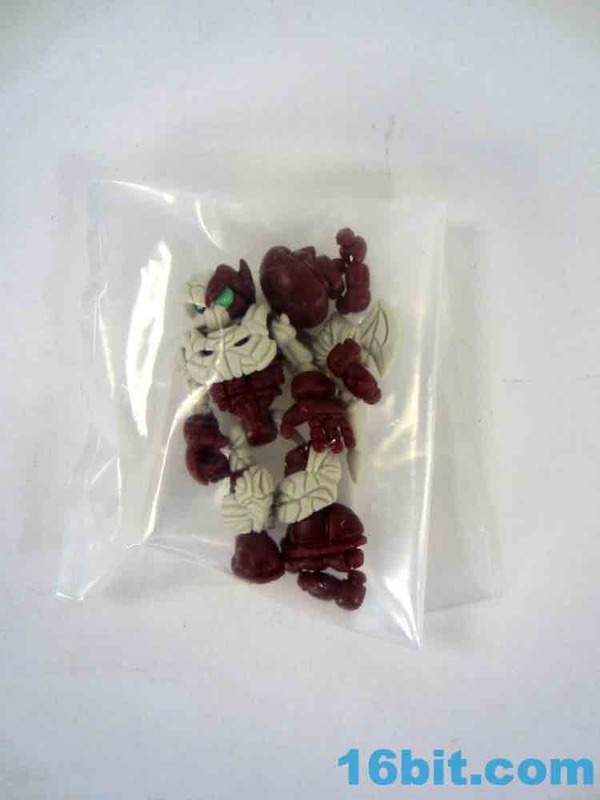 We knew at least one version was coming as part of the Skeleton Warriors Kickstarter line - one with purple elements, it turns out - but last month Onell dropped two and a half flavors of this new mold. A wonderful blue version was joined by a clear armor kit you can use to upgrade your existing figures for five bucks... I ended up getting them all, because I can. 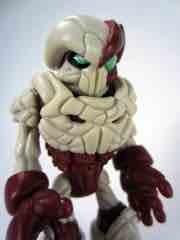 The standard one is, far and away, my favorite. 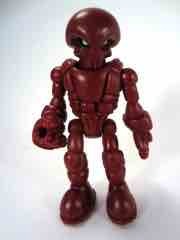 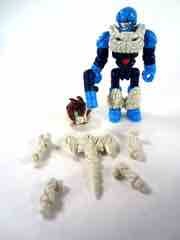 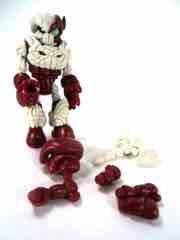 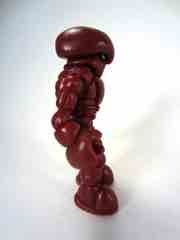 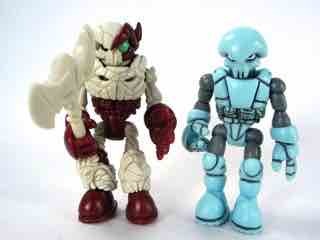 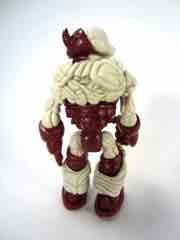 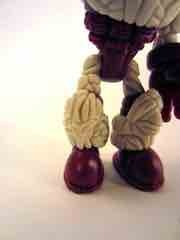 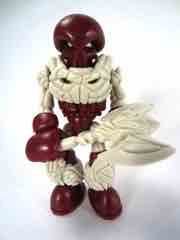 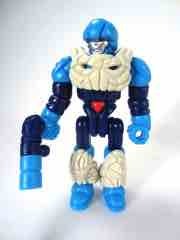 For those of you who are just joining us, Pheyden is really the main driver of the Glyos system by Onell Design. 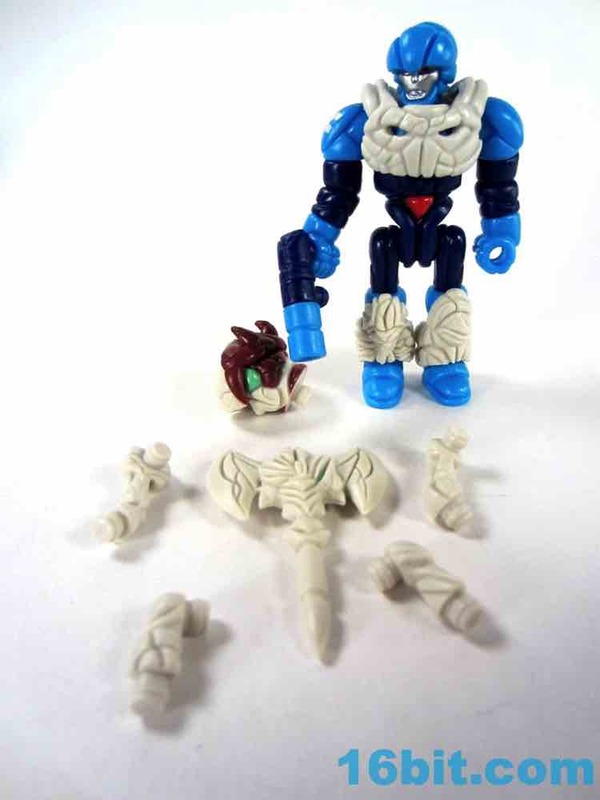 The intergalactic traveler is jointed, durable, and can be dismantled and swapped around - this figure in particular has 23 parts including the extra parts you'll probably lose later. 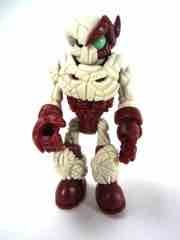 What makes it particularly exciting are the 10 "bone" parts which replace or clip over a typical Pheyden, giving you more or less the same articulation with more options. Armor bits slide over the shins and chest, you can replace the shins and arms, the head is new, and of course there's a big (and surprisingly painted) axe. 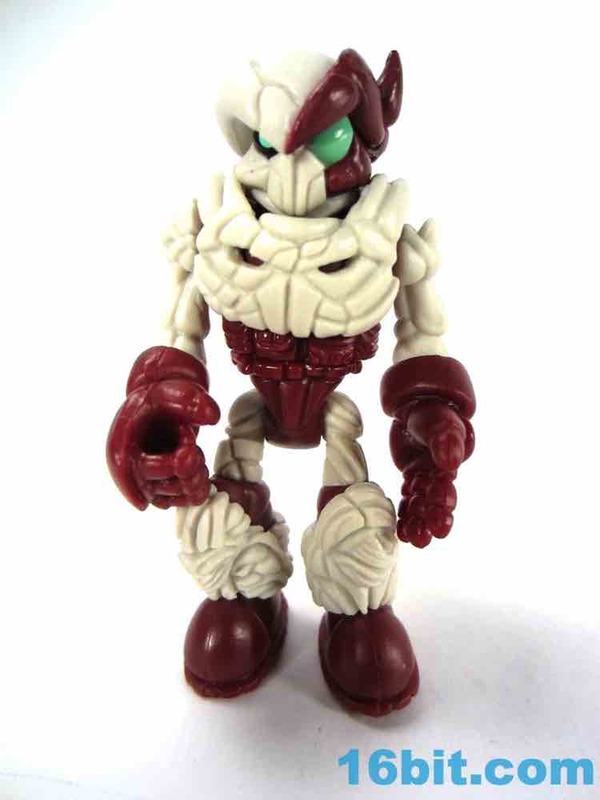 It's $4 more than a normal Pheyden, and it's hard to say it's "worth it" but it certainly is interesting enough that I'm pretty glad I bought it (and will be buying the inevitable glow in the dark version later). 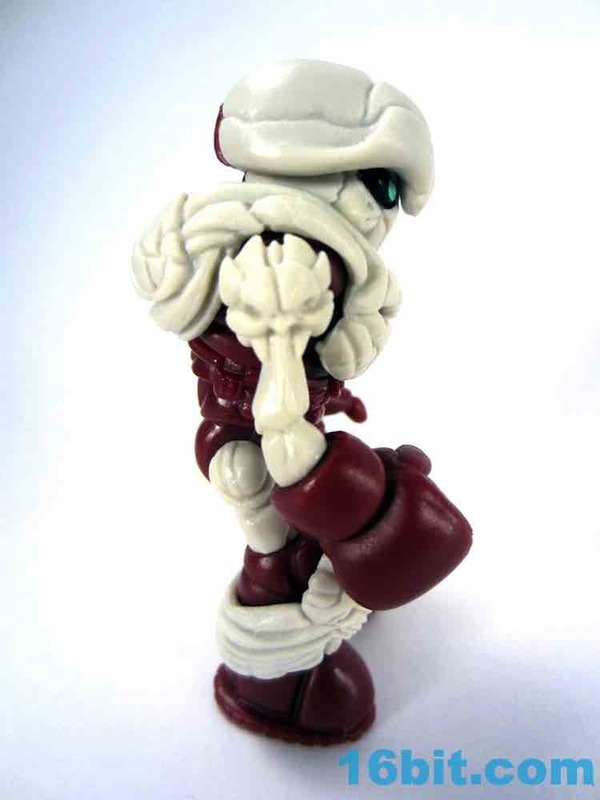 Designer Matt Doughty mentioned the figure was inspired by a classic Spawn release, and it shows - the figure is loaded with detail. 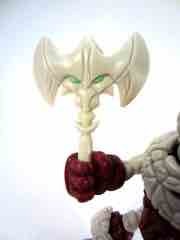 The axe had a different face on either side, each of which has different levels of sculpted detail. Each of the bony bits is pretty gnarly, showing more lines and grooves than usual - the head has spikes and cracks all over. 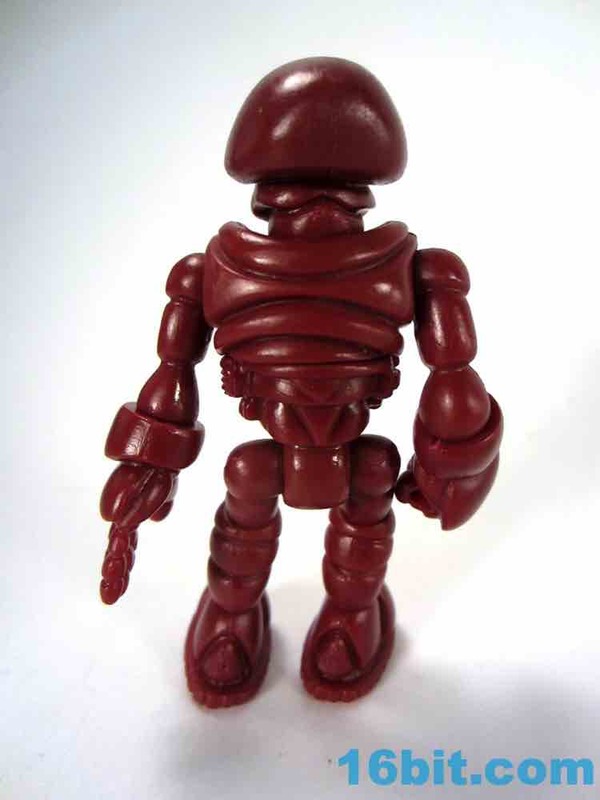 It's also worth noting the head is one of the new two-piece styles, so you can pop off the dome and switch it with other heads if you're so inclined. 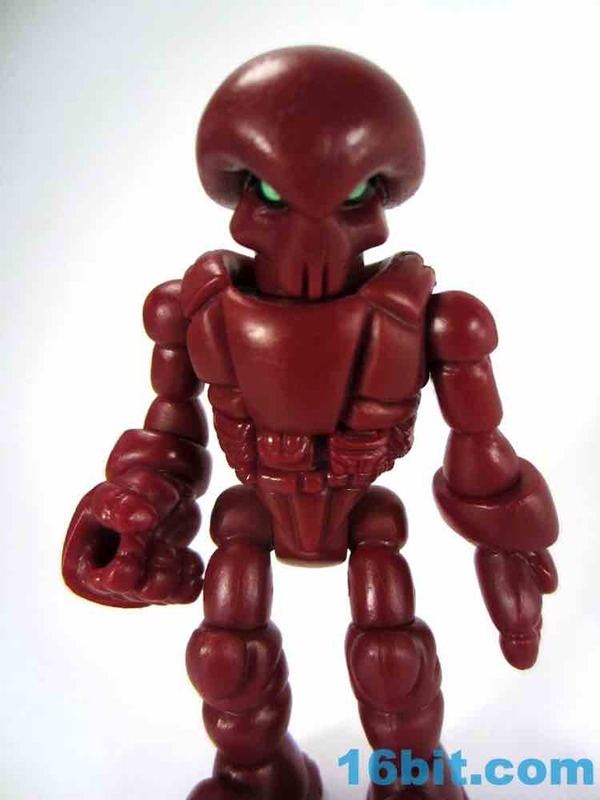 The results are quite nice, so I'd suggest grabbing at least two of the Skeledens so you can mix up the faces. Giving the all-blue figure the painted-up face reminds me a lot of Mega Man for some reason, and who doesn't love Mega Man? 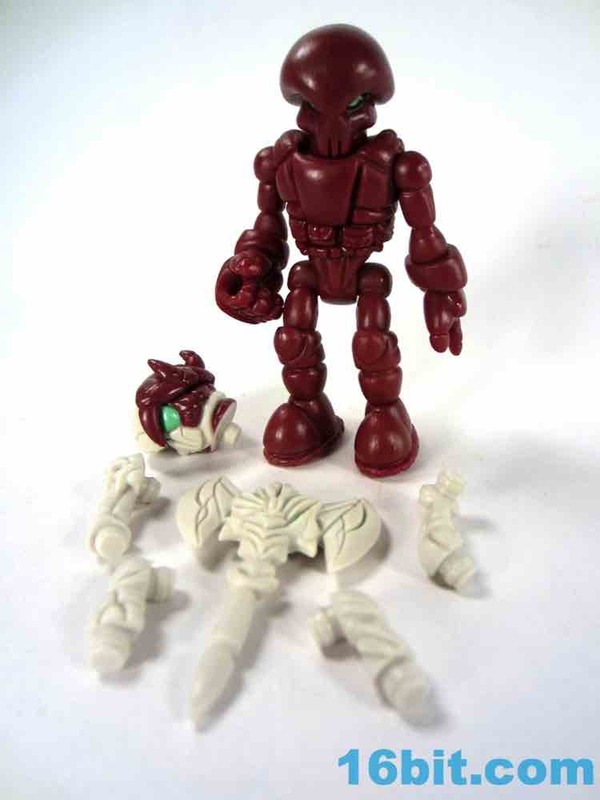 My mine gripe about the figure is that it falls short of the unrealistic expectations I have for more Onell figures, which is to say a near perfect form fit is missing. 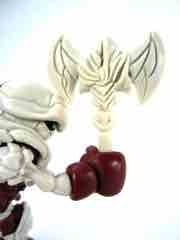 The figure assembles just fine, but the axe is a tight fit in the fist. This is one of the first (if not the first) actual non-Glyos peg weapon to be made on an official basis, so for all I know they will tweak it for a future release. For the curious, it's also too tight for fists that are sized for Glyos pegs like the Armorvor... but you can cram it in there, and it's still plenty cool. 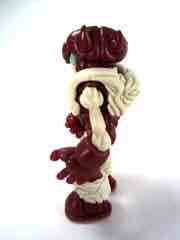 I hope Onell Design does a few more weapons because they do make the figure a bit more interesting. While certainly not cheap, nothing is these days. 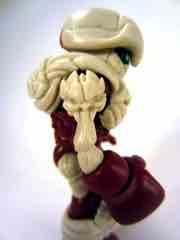 This figure has a lot of paint, evenly applied to the eyes and half of the head. You can barely tell - that's how good it is. I should also note that the armor was designed to fit on other figures as well, but for the time being let's just focus on this package. It's good, it's fun, and I hope you got one. 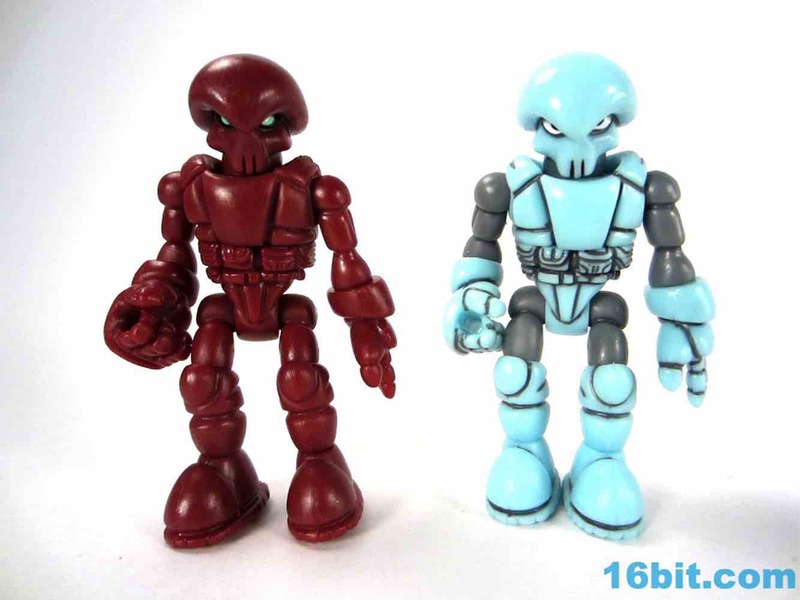 If not, recolors are coming. 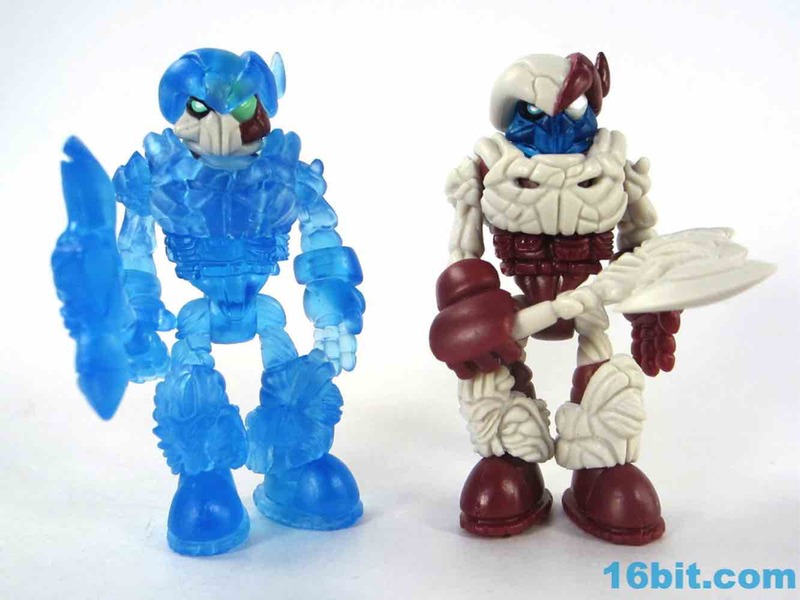 For the long time fan with all of these little buggers, it's different enough to be worthwhile and will probably make you fish out older toys to try on the armor and see how it looks. Any toy that inspires you to play with your old toys is generally worth your while.